The Indonesia Stock Exchange aims to boost capacity of its trading platform by five times by end-November in response to fast growth in electronic trading and demand for direct market access from its broker members, says Adikin Basirun, the exchange's IT & risk management director. The Indonesia Stock Exchange (IDX) aims to boost capacity of its trading platform by five times by end-November in response to fast growth in electronic trading and demand for direct market access (DMA) from its broker members, says Adikin Basirun, the exchange's IT & risk management director. Utilisation of IDX's X-stream platform, supplied by exchange group and technology provider Nasdaq OMX and adopted in early 2009, has been running at 20% of its current capacity – 500,000 trades and one million orders – on an average day. At the same time, the exchange is maintaining a cautious policy on approving new algorithms due to concerns about the potential negative impact that high-frequency trading could have on the domestic market. “We are allowing more conservative algorithms, not the algorithms that are related to high-frequency trading. For example, for VWAP or TWAP, we know the purpose of these strategies is to lower market impact when there's a big order in the market. These are the kind of algorithms that we can consider approving,” says Basirun. Although brokers suggest that Indonesia is one of the stricter markets, several are running at least their basic algos on IDX. The ongoing upgrade of IDX's trading infrastructure includes enhancements to memory and storage capacity, as well as additions to other features of the original version of X-stream. Running parallel is an integration project to connect the networks of IDX, clearing and guarantee institution PT Kliring Penjaminan Efek Indonesia, central securities depository PT Kustodian Sentral Efek Indonesia and Indonesian capital market and financial institution supervisory agency Badan Pengawas Pasar Modal. The project aims to enhance the efficiency of information exchange between participating institutions; the network will in turn connect to brokers, custodian banks and other banks. Nasdaq OMX's next-generation exchange platform – based on low-latency, high-throughput X-stream INET technology – will be implemented by SIX Swiss Exchange in Q1 2012. Implemented in early 2009, IDX will continue to use its current version of X-stream for some time before upgrading to the new version. “We are doing some enhancements up to what X-stream can handle at the moment. We are looking at hardware upgrading, together with network enhancements, to obtain the capacity that we need. Our online trading has been growing and sooner or later, this will impact our capacity. In terms of capacity planning, we have to be ready for the market. We have received a lot of requests for DMA connections,” Basirun observes. Prior to X-stream, IDX was based on a system supplied by Computershare Markets Technology, an Australian supplier of trading, surveillance, routing and back-office products to exchanges and central securities depositories. Computershare was acquired by OMX in 2005, two years before NASDAQ agreed to buy OMX for US$3.7 billion to form NASDAQ OMX Group. IDX formally put out a tender when it decided to upgrade its trading system and chose X-stream for its competitive pricing and technical capabilities. According to Basirun, 60 brokers have launched online trading to their clients and 13 brokers have adopted DMA solutions. “Hundred percent of our trading is done remotely. None of it is done through the floor anymore. We are going to transform our trading floor into a multi-media information centre that would also provide education to visitors. We have more than 10,000 visitors per year that include students and other public visitors,” says Basirun. Like several other Asian markets, such as Thailand and India, Indonesia has implemented prior testing of algorithms before they can be deployed. 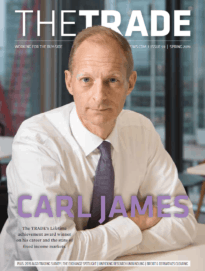 According to May's poll on theTRADEnews.com, handing greater oversight of algorithms to regulators may help identify the causes of market dislocations, but market participants are worried about the impact on execution performance. More developed markets are also tightening oversight of market access. US regulators are introducing pre-trade risk controls at the broker level and have implemented market-wide of circuit breakers for trading venues, while Europe is weighing up its options for approving algos via the MiFID review. For Basirun, there is a balance to be struck between the needs of market participants with different investment objectives and technology capabilities. “We have to oversee the readiness of our members. We are facing competition, especially from the regional exchanges, but we are now focusing on growing our domestic investor base and we are trying to balance the needs of our domestic investors and the fast moving global and regional developments on the high-frequency trading front. As an emerging exchange, the readiness of the broker and especially that of the investor has to be watched carefully. 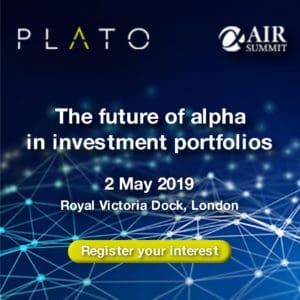 What we are trying to avoid is leaving a bad impression on the investor who is not ready for the technology advance,” he says.